See below for updated rulings! This post marks the final blog update of 2017. We’ve come a long way since MetaX’s debut in July – and there is so much more on the horizon! 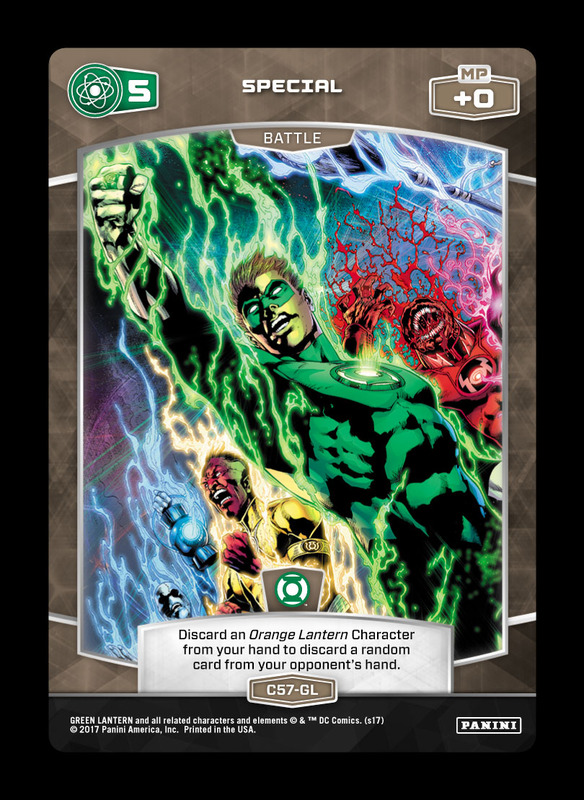 Today, let’s look at some release notes from Green Lantern. 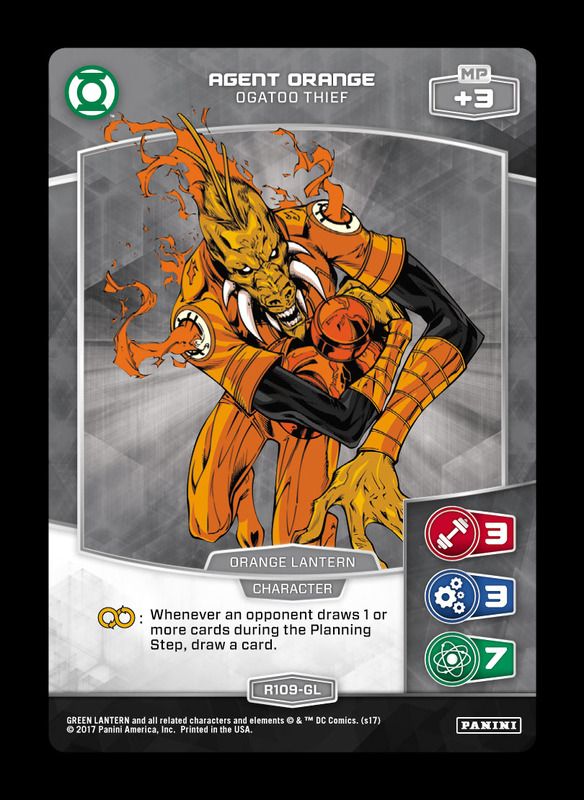 Special 5 (C57-GL): Treat this card as if it reads “You may discard an Orange Lantern Character from your hand to discard a random card from your opponent’s hand.” This effect is optional, and the updated wording does not require your opponent to verify the contents of your hand. 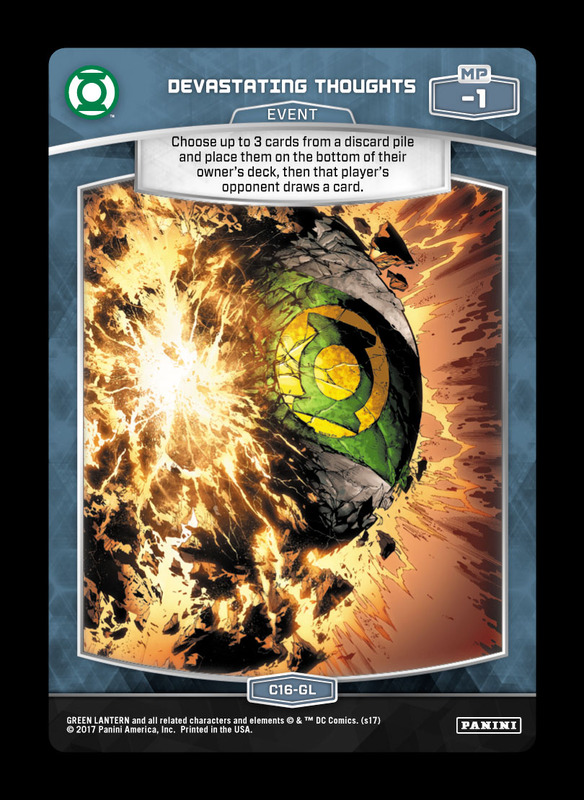 “Swapping a VP”: Whenever an effect requires “swapping” with a card in a VP Pile, there must be at least one card in that VP Pile for the effect to take place. 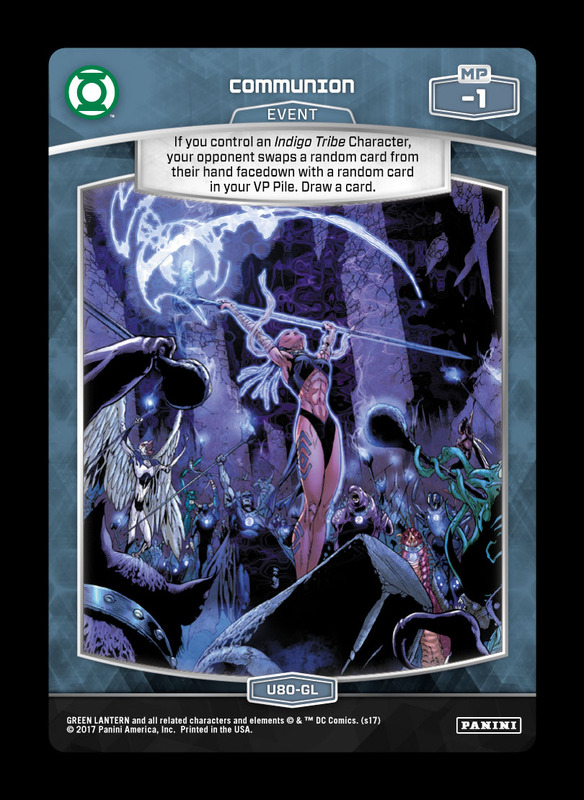 For example, you would not be able to use the swapping effect of Communion without at least one card in your VP Pile. Though this list is a semiformal collection of rulings for current tournament play, the upcoming Tournament Documents (such as the CRD and Tournament Guide) will codify these clarifications to provide a functionally identical outcome. The release of the Tournament Documents will coincide closely with exciting new announcements regarding the first season of Organized Play – watch for more info in the coming weeks! Once again, Panini Games would like to thank each and every one of you for your support in 2017 – and stay tuned for the massive things in store for 2018! 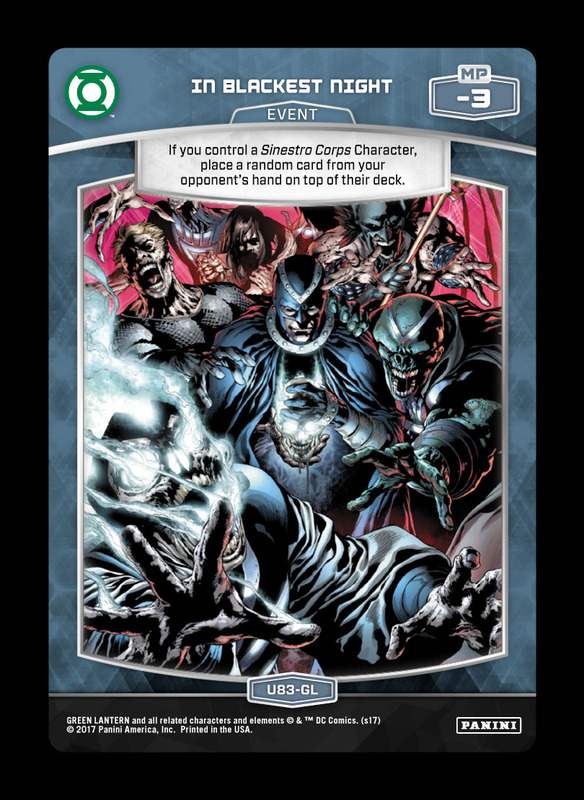 Note: We are aware of the packaging issue with In Blackest Night (U83-GL) – please watch for future announcements about its distribution. Tuesday Tidbits: GL Launch Photos! Tuesday Tidbits: Happy New Year!